Happy Friday the 13th, money savers! Every Friday the 13th, we hear someone mention how unlucky it is. Maybe you are a superstitious person who believes that days like this one bring us bad luck. You may be right or you may be wrong, but what I know for sure, most of the time, we make our own luck. With money, there is no such thing as luck. Taking care of your financial future requires hard work, sacrifice, and self-control. It requires discipline and moderation and… well, I could go on, but you’ve heard all these buzzwords a million times before, haven't you? What it doesn’t require, though, is luck. The vast majority of people across the globe who have gone from struggling paycheck to paycheck to living comfortably with sound financial security, have done it the old fashioned way. With effort. And lots of it. Very few of them have just stumbled into fiscal well-being by accident. Of course, there are exceptions to the rule. Every once in awhile, we’ll hear some emotional rags-to-riches story, of how one family was just about to declare bankruptcy when they decided to play the lottery for the first time ever, and they walked away with $100 million. I'm not saying that doesn't happen. It does. Very, very rarely. If you want to talk luck, though, the reality is there. The odds of this happening to you, are slimmer than you getting hit by lightning… twice. No Friday the 13th, black cat, or broken mirror can be blamed for your struggles with money either. Our money is a result of our choices and the only way to improve our money, is to make better, and more informed choices. It’s easy to want to find blame for our monetary problems. It’s easy to chalk our lack of progress up to lack of luck. It’s easy to wait for your lucky break, day in and day out, while you struggle under the weight of your own debt. It’s not so easy to face the truth: you make your own financial future. Once you realize that all it takes is some life changes to get back on track, and stop waiting for that windfall, you’ll start to see your luck change. Like we said in the title, With money, there is no such thing as luck. “I am a great believer in luck, and I find the harder I work, the more I have of it." What do you think? 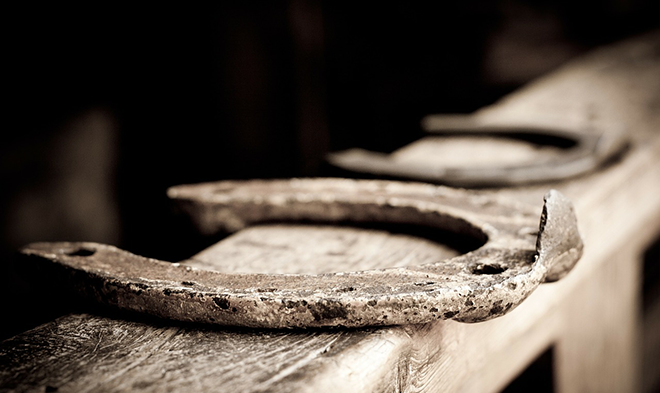 Do you think luck plays a part in our finances? Let us know in the comments!